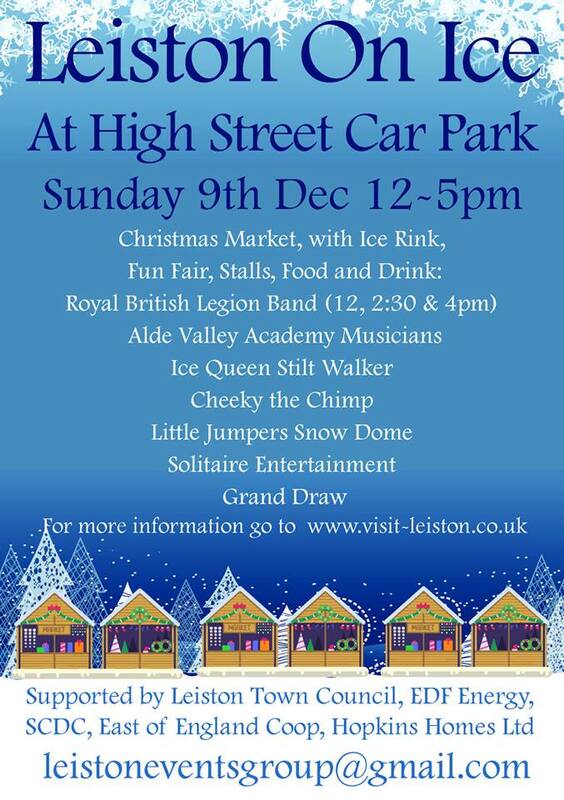 The weekend is finally here for Leiston on Ice and our fabulous Christmas market stalls, and we’d like to take a quick moment to thank all of our wonderful sponsors for helping us make this happen. Many volunteers and businesses have helped us pull together this amazing event, and it absolutely would not have been possible without all of their help. But specifically, we’d like to mention our five major sponsors right now, as without their financial support we would have struggled to make this weekend a reality. Special thanks go to the East of England Co-Op, Hopkins, EDF Energy, Leiston Town Council, and Suffolk Coastal District Council. 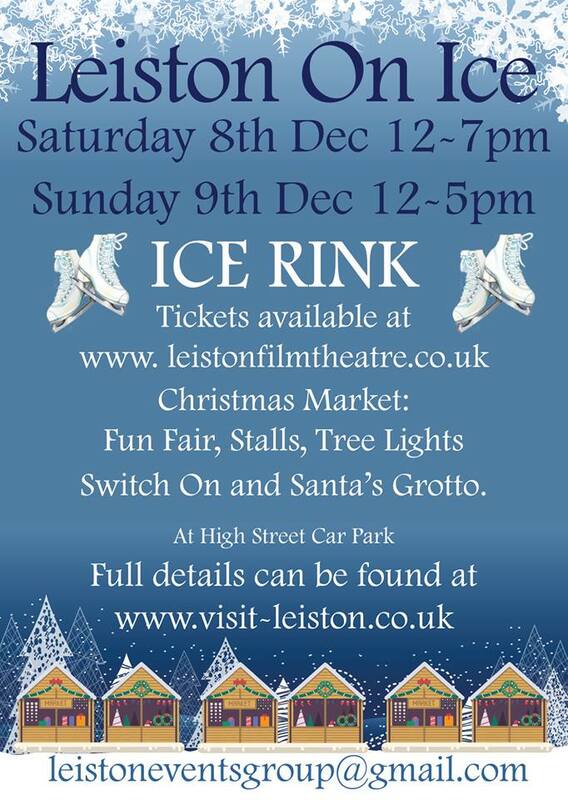 And thank you to all of Leiston and surrounding areas for supporting us and pre-booking ice skating slots. We hope you enjoy the weekend! Remember, remember, the 5th of November: Gunpowder, treason, and plot. I know of no reason why gunpowder treason should ever be forgot! 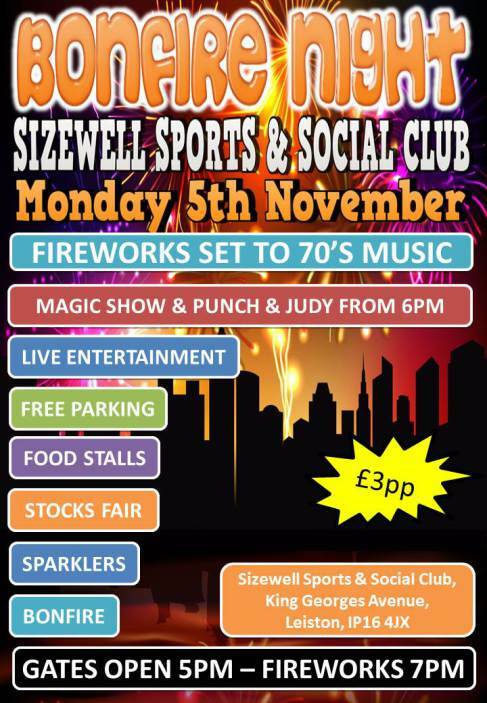 Bonfire night is going to be huge at the Sizewell Social Club this year, Monday 5th November, £3pp with gates opening 5pm and fireworks at 7pm. The Leiston events group will be fundraising at the bonfire night celebrations for the upcoming Christmas event, selling sparklers and other fun stuff. 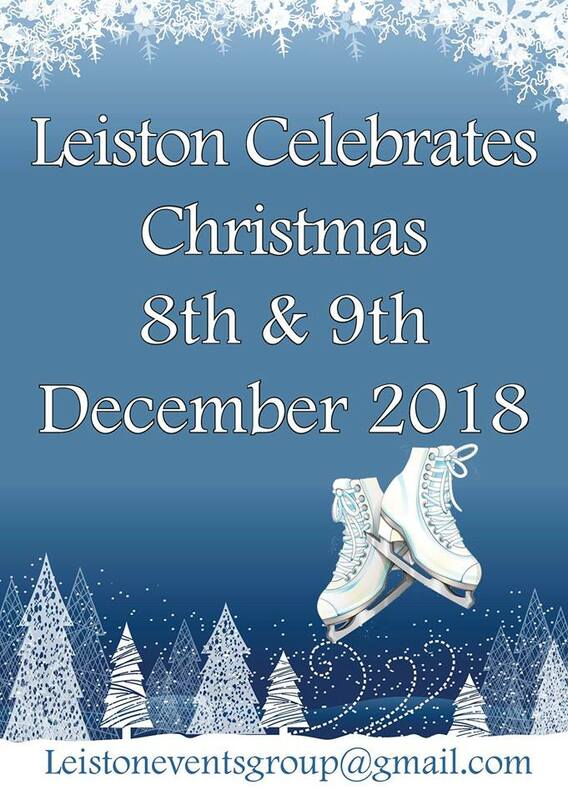 This year Leiston has booked an ice skating rink for our Christmas event! Tickets for skating are £6.50 per person for a half-hour session, and pre-booked tickets, group discounts, and family tickets are discounted. Ice skate rental is included in the ticket price (Kids 9 – Adult 11). Bring your own skates if you like, but no speed skates are allowed! No cameras on the ice, and please wear warm appropriate clothing. Buy your tickets for the ice skating rink ahead of time so that you don’t miss out! 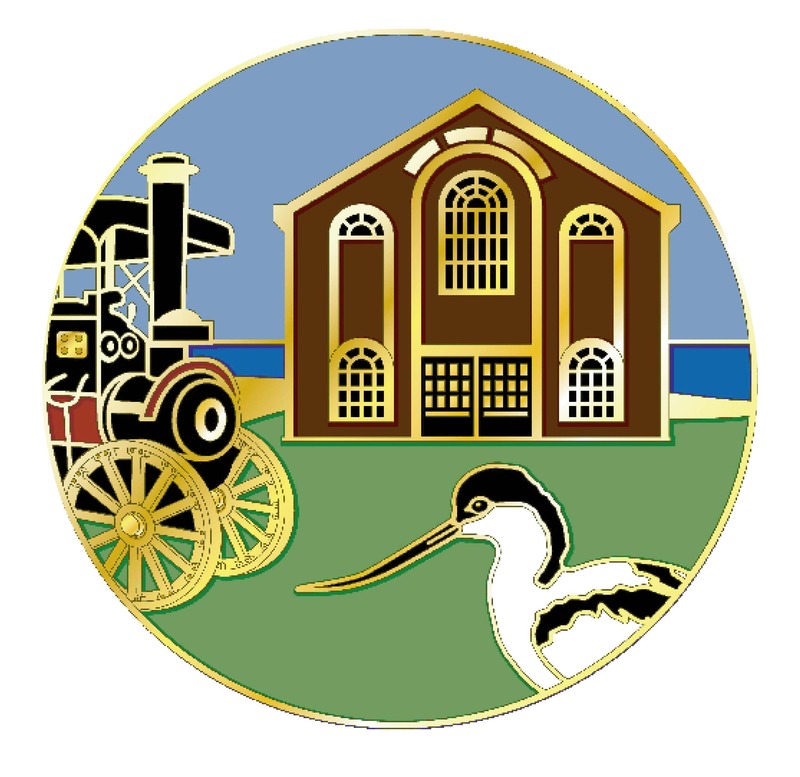 Tickets can be purchased through the Leiston Film Theatre and their online booking system. Book your ice skating tickets ASAP so you don’t miss out! Check out the full programme and highlights below. 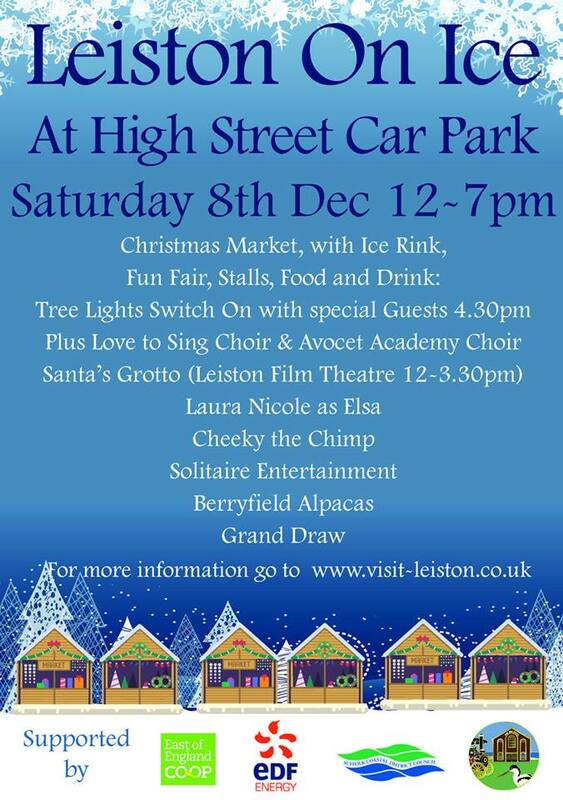 Leiston’s Christmas Event will be held in the car park opposite Cinnamon, but features a light switch-on that will also be seen throughout Leiston. 12pm Santa’s Grotto (Leiston Film Theatre 12-3.30pm). Admission £4.00 including a gift from Santa’s workshop. 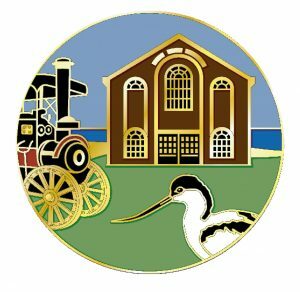 6:00pm A special 2-for-1 screening of The Greatest Showman (PG) at Leiston Film Theatre. 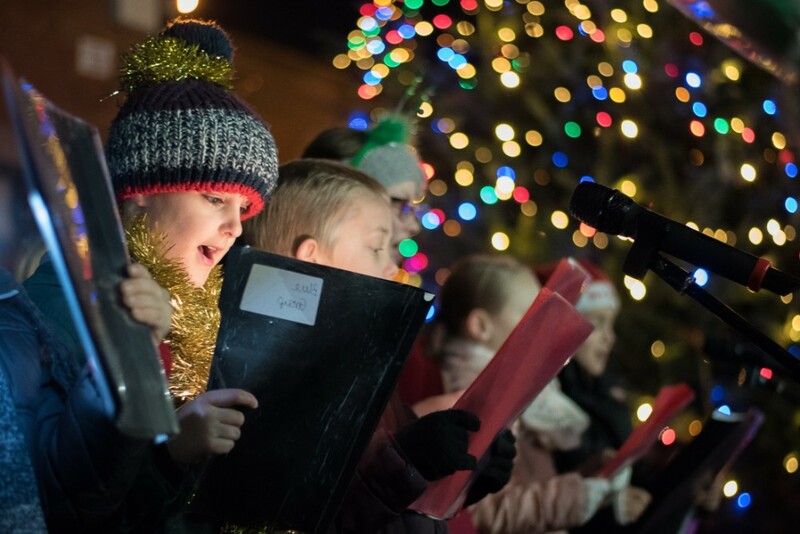 Also, take a look at the Leiston Christmas Event Gallery to see what we’ve done previously. Please read more about our fabulous Christmas Market stallholders and local businesses. We’re very grateful to all of our sponsors this year for all of their support. 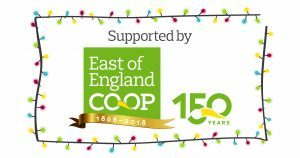 Please note that there will be free parking at the Co-op on Friday 7th, Saturday 8th and Sunday 9th December in order to help Leiston celebrate Christmas! 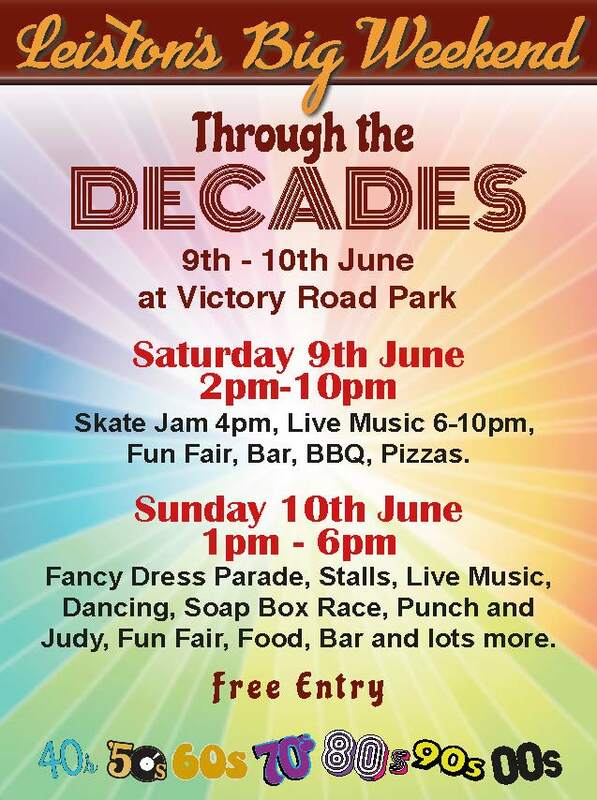 This Free event featuring a fun fair, fancy dress (Theme: Through the Decades), tug-of-war, Punch & Judy, stalls, live music, dancing, bar, BBQ, pizzas, more food, games and lots more. Open 2-10pm Saturday and 1-6pm Sunday. The performer line-up includes the A-Team Ipswich, Ant Macandrew, Movie the Night Away, an R&B Band, and more. The A-Team will be entertaining throughout the Saturday night, so be ready to party! 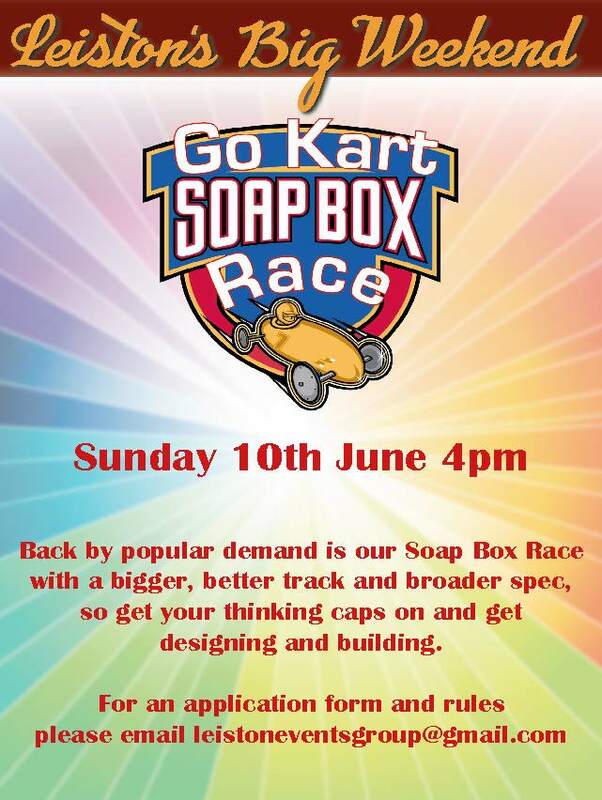 Get involved in the fancy dress parade, skate jam, go-kart racing, tug-of-war competitions, fun games for the kids, and some other surprises! 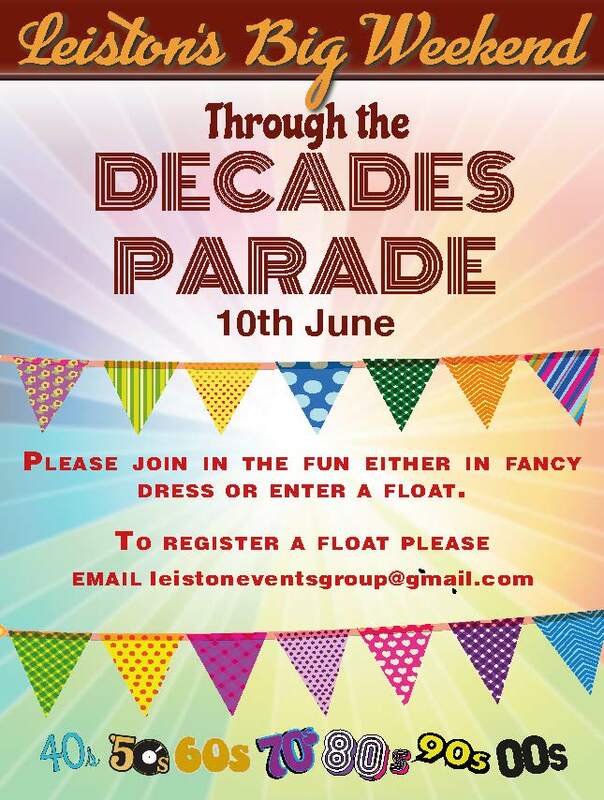 The Leiston Big Weekend is primarily held in Victory Road Park, but features a parade that travels through the main streets of Leiston. Start sorting out your fancy dress outfit now! Which decade are you going as? All Day Fun fair, fancy dress (Theme: Through the Decades), stalls, live music, dancing, bar, BBQ, pizzas, more food, games and lots more. All Day Fun fair, fancy dress (Theme: Through the Decades), tug-of-war, Punch & Judy, stalls, live music, dancing, bar, BBQ, pizzas, more food, games and lots more. 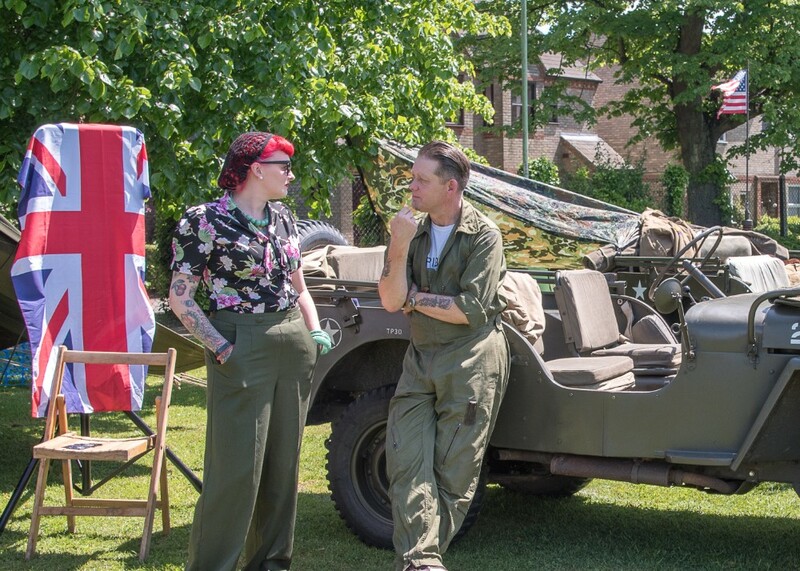 Also, take a look at the Leiston Big Weekend Gallery to see what we’ve done previously.